I awoke the other night to what sounded like an aviary in my front yard. In my grogginess, I must have counted a dozen different bird calls, but when I peered outside, I saw a lone bird. It was a mockingbird mocking not only other birds but also the sound of a cell phone ring! Ya gotta love nature—and I just know you’re going to love these free resources and chances to win. Post a comment to this blog no later than 11:59 pm EDT on April 17, 2016, to tell me which of the items below would help you in your classroom. From the comments, I’ll randomly select one teacher to win Every Day Birds, which features 20 North American birds. For more about birds, check out this free education resource with videos, fun activities, and lesson plan ideas for grades 2–3 and 4–5. Topics include migratory patterns, endangered species, bird-watching, and more. Find it here. Are you buggy about bugs? Well, my special insect-loving friends, don’t buzz by this. 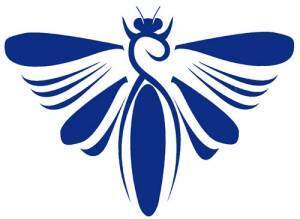 If you use insects as educational tools, you could win up to $400 for your school, up to $400 in travel expenses for a professional venue; and up to $800 for expenses to attend the Entomological Society of America meeting. Get details here. It’s April, so that means it’s also time to Drop Everything and Read. D.E.A.R. is now celebrated during the entire month. Load up the reading opportunities with free reading lists, activity ideas, digital assets, and more. Click here to see what’s available. Be sure to click on the “Resources” tab for some great classroom activities. Don’t forget to post a comment for a chance to win the book! 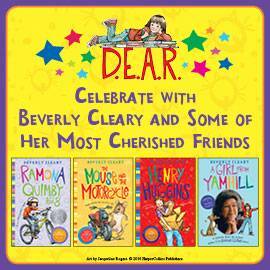 PS: Did you know that Beverly Cleary, who wrote about D.E.A.R. in Ramona Quimby, Age 8, will be 100 years old on April 12? Celebrate her day at BeverlyCleary.com. I would love to win Every Day Birds. I would LOVE to win a copy of the book. Thank you for the chance! What a lovely idea to give teachers a chance to win a book for the classroom. My kids are so excited to study birds and animals. We are in a small, rural community and have great need for books for our library. 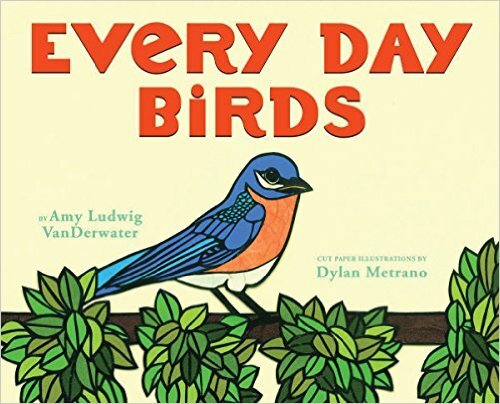 Thanks again for this wonderful opportunity to win the book, Every Day Birds. I love the free resources on Education in Nature. We have been learning about birds and I have been pleasantly surprised at how enthused my students are about the subject. I think they would get a lot from these lessons. I will use Education in Nature and we would love to win the book on birds. We have a county wide art competition for a bird festival and one of my students just won the Best of Show for 1st grade. We could utilize the bird book for inspiration for next year’s competition. My students get so excited when they see birds. They can even identify the State Bird of Texas, the Mockingbird. The book would be great to have! Thank you for offering my EVERY DAY BIRDS to a reader…that is so kind of you. Please let me recommend allaboutbirds.org, a great site I used when researching the book. I just returned from Texas…yay for mockingbirds! Happy National Poetry Month…and Earth Day tomorrow… a. Our pleasure, Amy. It’s a wonderful book!